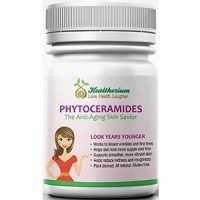 In this review, we will be looking at a product from Healthorium, which is called Phytoceramides. When you are aging, your body begins to produce fewer ceramides. Ceramides are a kind of fat that keeps your skin looking younger and firmer. Phytoceramides are the same kind of fat. However, this lipid can also be extracted from plant sources. Additionally, this product contains a variety of added vitamins that help to protect your skin from more damage. Phytoceramides – a type of fat that can be extracted from some plants go into the epidermal layer of the skin where it reduces dehydration. Vitamin A – helps the body make new healthy skin cells and encourages the cells that keep your skin firm and healthy to work more effectively. Vegetable Magnesium Stearate – a natural form of magnesium extracted from plants and used to bind elements in a supplement together. Vitamin C – a substance that inhibits reactions promoted by oxygen or peroxides, it also boosts collagen in the skin and provides protection from the sun. Vegetable Cellulose – this makes up the capsule that contains the ingredients included in the supplement. Vitamin D – responsible for cell growth, repair and metabolism and prevents aging related to sun damage. Silicon Dioxide – an ultra-fine powder that aids powder flow when tablets are manufactured. Vitamin E – supports the skin and reduces damage from free radicals in the environment. How Do You Use Healthorium Phytoceramides? According to the manufacturer, one serving of this product is one capsule. Unfortunately, they do not include any additional instructions for use. Our research indicates that one serving of this product does not provide you with the recommended daily dosage of the active ingredient. Sadly, this product is not available directly from the manufacturer. We could find this supplement on a variety of other online stores that act as third-party sellers. Unfortunately, the product is currently unavailable from these sellers as well. This means that we were unable to find any information related to the price of this dietary supplement. Unfortunately, the manufacturers of this product do not offer any guarantees or return policies for this product. We were rather concerned to discover this as guarantee always reassures us that the manufacturer is confident in their product. A guarantee indicates that the company believes they are producing the best possible product. There were a few reviews posted to an online store that sells this product. Sadly, the majority of the reviews that we read seemed to indicate that the customers were unhappy with the lack of results they noticed after using this product. 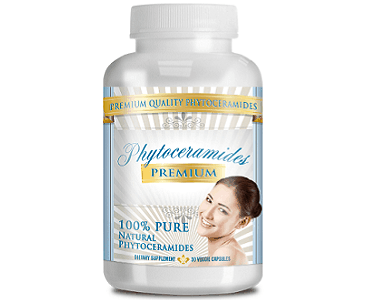 After completing our review of phytoceramides, we concluded that this was an adequate product. 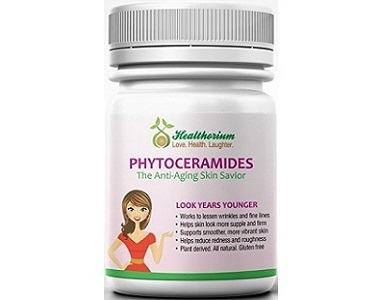 This product supports younger looking skin due to the inclusion of phytoceramides and vitamins in the formula. Sadly, our research uncovered a variety of things that would make us think twice before buying this product. It is not available for sale on the manufacturer’s website or from any of the third party sellers that stock it. The manufacturers do not provide any instructions to use this product and it contains a concerning amount of additives.